Whether you have a home or business workshop, you need to invest in high-quality equipment that can offer unrivalled functionality, which will allow you to carry out your work in the best way possible. Among others, you need to have an air compressor. It will help you to complete different jobs, such as inflating a tire. It can be beneficial in more ways than one, provided that you make the right choice. 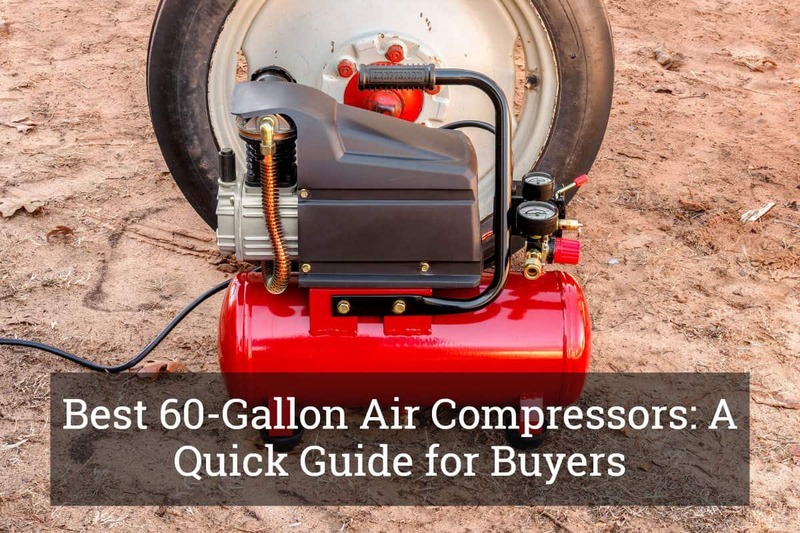 In the rest of this guide, we will take a look at the best 60-gallon air compressors. Aside from identifying four of the products you might want to consider, we will also discuss some of the most important factors that will have an impact on your purchase decision. Stationary Air Compressors: They are large and perfect for the most demanding applications, which is why it is common choice for the pros. They have a high horsepower motor and can be used even for an extended period of time. Most of them have a vertical design, which makes it space-efficient. Portable Air Compressors: For most home-based applications, this will be more than enough. It is compact and oftentimes have a wheeled design, making it easy to have it transferred from one place to another. It can be further classified into different types, including wheelbarrow, twin-stack, hotdog, and pancake. 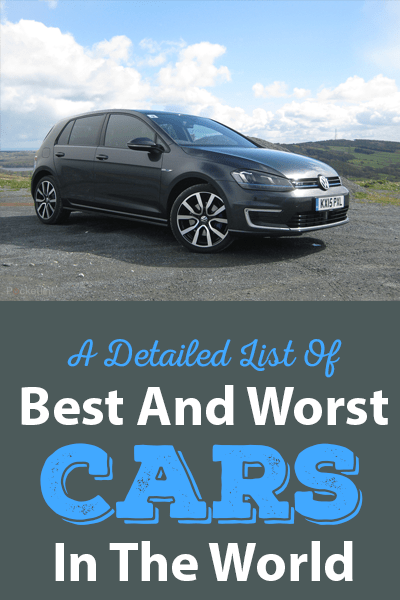 Here are some of the brands and models you might want to consider. 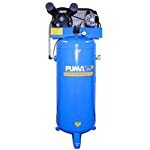 If you are looking for an air compressor that can prove to be perfect even for the most demanding tools, this is one option you might want to consider. It delivers 155 PSI and 11.5 CFM at 90 PSI. Its body is made from cast iron, which is indicative of durability. It also has an oil lube pump, which will ensure that the motor will run quietly. It weighs 228 pounds, which might seem heavy. In reality, even one person can easily transfer it from one place to another. 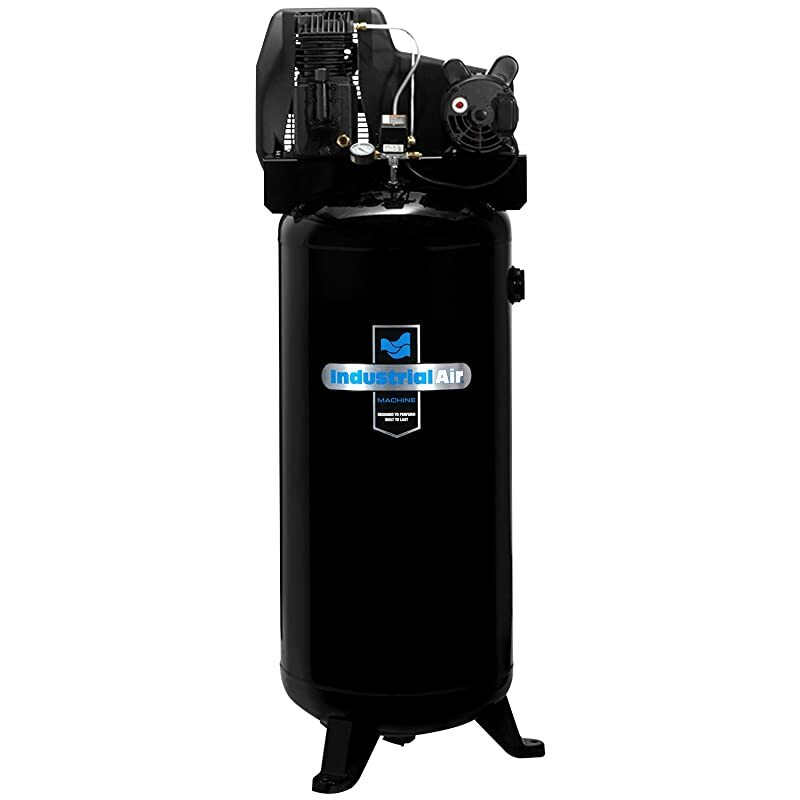 However, like in the case of other 60-gallon air compressors, it would be best to have a fixed position. The spread voltage motor is another feature that makes this an impressive pick. With the latter, you will have the option to use the product at 240 or 208 volts. You can do so without requiring changes in the setup of your wires. Lastly, it already comes with the first load of synthetic oil, which will ensure its optimal performance. The 5 HP motor of this product is one of its best features, which will make sure of its impressive performance regardless of the intended application. Regardless if you are a pro or a DIYer, this is one option that you will like. Designed to last – this is another thing that you can expect from this product as it is exceptional when it comes to its durability. The cylinder is made from solid cast iron. The pump life, on the other hand, has a rating of 30,000 hours. The finned tube intercooler, meanwhile, extends the functional life of the valve. For even heat dissipation, it is a good thing that it comes with an aluminum head, which is also known for its rugged design. Lastly, you might also love it when it comes to safety. One feature that makes it safe to operate is the capacitor start motor. It also comes with protection from low level of oil. 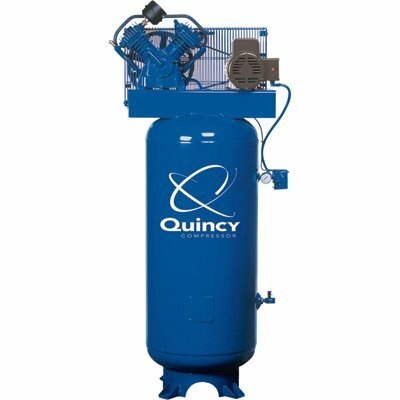 This is another powerful option that you might want to consider when looking for the best 60-gallon air compressors. One thing that makes this possible is its 3-HP motor, which is why even the pros can use it in demanding applications. To add, it is also an excellent option when it comes to safety. Since it is electric, there is no risk of explosion that can be caused by gas. Even in an enclosed room, you can use it without any safety concern. To add, it is also a good thing that it has thermal protection from overheating. If you are still not convinced, it would help to know that this is made by a company that has been around for more than 100 years. The company has built a reputation that is hard to rival, which is a testament to the quality of their products. 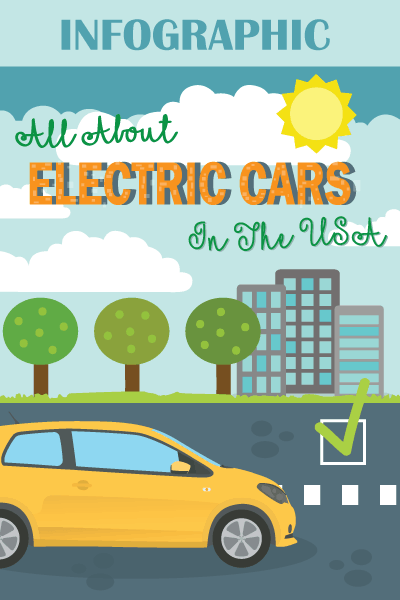 With a 3-HP motor, this is another excellent option that you might want to take into account. Aside from the powerful motor, it also has 135 maximum PSI, and single phase induction motor. For durability and safety, it is also a good thing that the motor offers protection from overloading. In terms of mobility, this can also prove to be impressive. While the tank has 60-gallon capacity, it will be easy for you to move this in different places. This is possible because of the wheels integrated in the base of the unit. To add, the wheels also never go flat, which will make it reliable in terms of mobility. It also delivers excellent air efficiency. 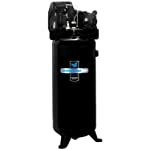 For a 60-gallon compressor, you might think that it is bulky and will require a large space. However, since it has a vertical design, this is perfect even for smaller work spaces. Workshop Conditions: You also have to think about the condition of the specific work area where it will be used. For instance, consider the length of the hose if you think that you will work far away from the tank. The length of the cord is also important to ensure that you can plug it to a nearby electricity source. There are some compressors that run on gasoline engine, which is perfect if you are unsure if there will be a dependable electricity supply in your work environment. Portability: 60-gallon air compressors can be heavy, and hence, you should look at some of the features that can possibly make it portable. For instance, having wheels is a good thing, which will allow you to easily transfer it from one place to another, even if the tank is heavy. It will also be good if it has convenient handles for pulling the unit when needed. Tools to be Powered: To easily make the right decision, you also have to think about the tools that the air compressor will power, which will determine the technical details that are necessary. Some of the tools that it can power include rotary tools, grinders, paint sprayers, ratchets, nail guns, and impact wrenches. The air volume and pressure required by these tools will help you to pick the right air compressor. Warranty: To provide you with peace of mind, you should choose a product that comes with an extensive warranty. With the warranty duration, you can return the product to the manufacturer and they will have it repaired for free. However, make sure to follow the terms and conditions specified to avoid the warranty from being voided. Reviews: If you are having a difficulty in the pros and cons of the possibilities, it will also be best to look at what other people have to say. Online reviews will give you an idea on which one is a good pick and which ones should be avoided. 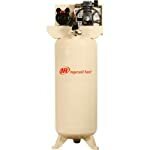 You can also ask around from people you personally know if there is any 60-gallon air compressor that they can recommend. Pounds per Square Inch: This refers to the amount of air pressure and force that the air compressor can make. A higher number would mean that the tank has a larger capacity. Pounds per Square Inch Gauge: This is also the amount of air pressure and force that the unit can make, but will be based on the atmospheric pressure at sea level, which is 14.7 PSI. Horsepower: This will generally range from 1.5 to 6.5 HP. The higher the number is, the more powerful is its performance. If you only have minimal requirements, you do not actually need one that packs a lot of power. Actual Cubic Feet per Minute: This refers to the actual amount of air that will be pumped within a minute at rated temperature, pressure, and speed. Standard Cubic Feet per Minute: On the other hand, this is in reference to the actual amount of air that will be pumped within a minute at a temperature of 60 degrees Fahrenheit. 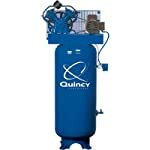 Looking for the best 60-gallon air compressors is not one thing that you should do in haste. While it can be tempting to choose a product that is cheap, you should know how to look beyond price. A good choice must be able to deliver exceptional quality and unrivalled functionality. It must be user-friendly and durable. Even if you have to spend more, if this is tantamount to having a top-notch product, it will be worth it. To make things easier, keep an eye on the four products we have briefly reviewed earlier.